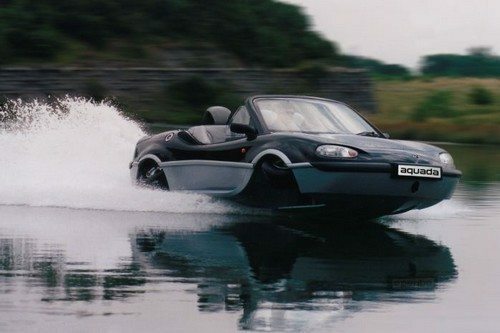 10 Different models of Amphibious Cars in the World? We were Surprised! 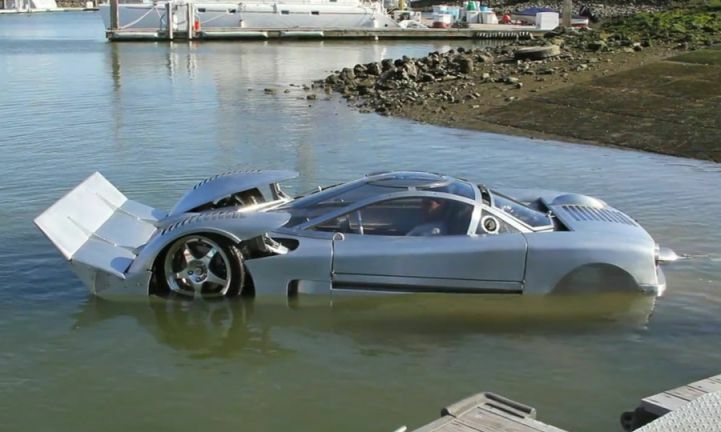 Have you ever wondered what a car that runs on water would look like, much less drive into water? Today, the prospect of a car that has the ability to navigate waterways like a boat continues to attract inventors, despite the fact that a large number of amphibious cars were made back in the 1960s. 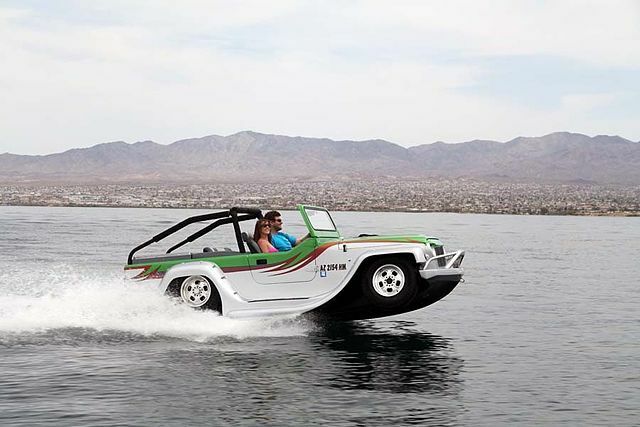 Below, we prepared a list of ten of the most awesome amphibious cars ever made. Take a look and be amazed! The Hydra Spyder is a stylish, ultra-modern, retro-looking, part speedboat, part sports car. 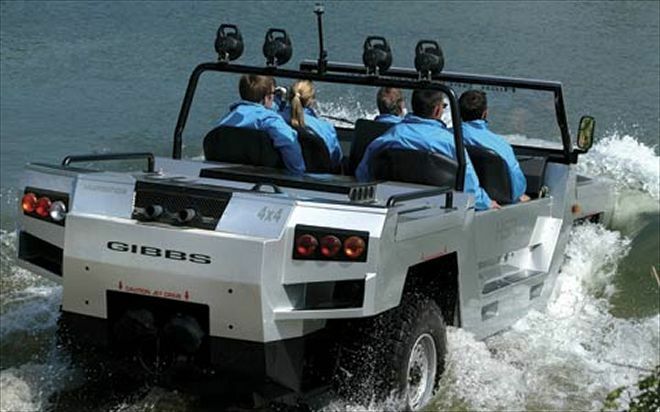 This high-speed, high-performance, and open-top amphibious sports vehicle was manufactured by the South Carolina–based company Cool Amphibious Manufacturers International (CAMI). The standard production model is powered by a Corvette LS2 6.0 liter V-8 engine rated at 400 hp, 6000 rpm, 400 ft. lbs of torque at 4000 rpm and approximately 3,300 lbs. 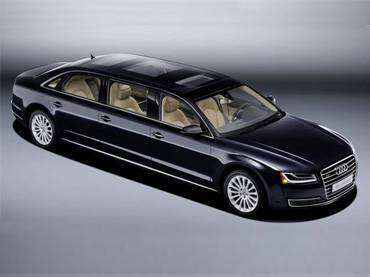 The model also has a front-wheel drive with 3.73:1 axle ratio and a 5-speed manual high-performance close ratio transmission. 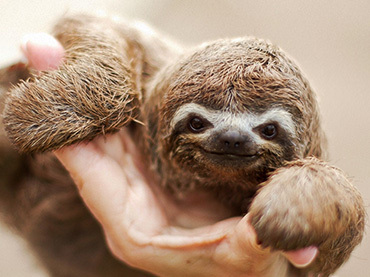 It can reach at least 125 mph (201 km/h) speed on land and can attain 53 mph (85 km/h) in the water. The Aquada made history by setting a new record in March 2004. Richard Branson piloted one across the English Channel in 1 hour, 40 minutes, and 6 seconds. Pretty quick, huh? That’s because the Gibbs Aquada is a true high-speed amphibious car, which is developed by Gibbs Sports Amphibians in New Zealand. It’s neither a boat with wheels nor a modified land car. 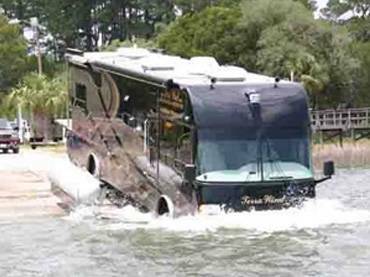 Instead, it’s a specially designed vehicle that’s equally at home on dry terrain as it is in the water. It is capable of speeds of up to 50 km/h (30 mph / 26 knots) on water and over 160 km/h (100 mph) on land. This is a mid-engined (for ballast) Lamborghini Countach that was modded by SeaRoader aquatecht Mike Ryan to be amphibious. 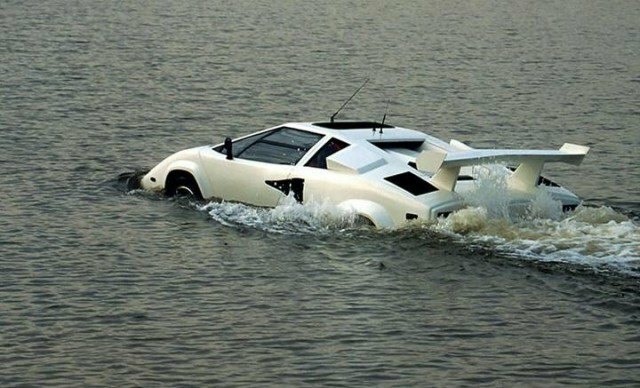 It’s the world’s first amphibious Lamborghini. Ryan has also converted motorcycles, jeeps, an ice-cream van, and a London taxicab into water vehicles. 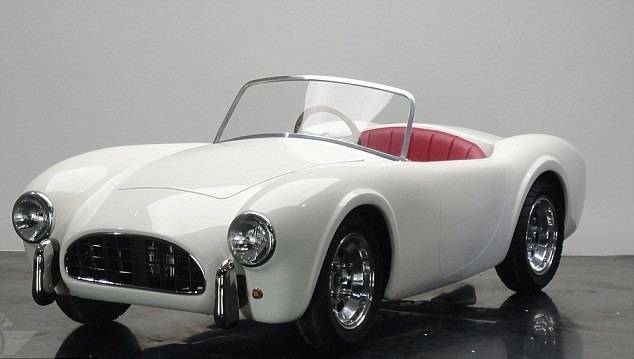 The inventor even boasts, “If it’s got wheels, I’ll make it float!” Converting a luxury sports car into an amphibious vehicle isn’t a cheap undertaking. The glass alone costs $3,007. Hydraulic activators compress its Formula 1–style suspension system while a hydrofoil at the front of the car lifts the nose of the Countach once it’s in the water. 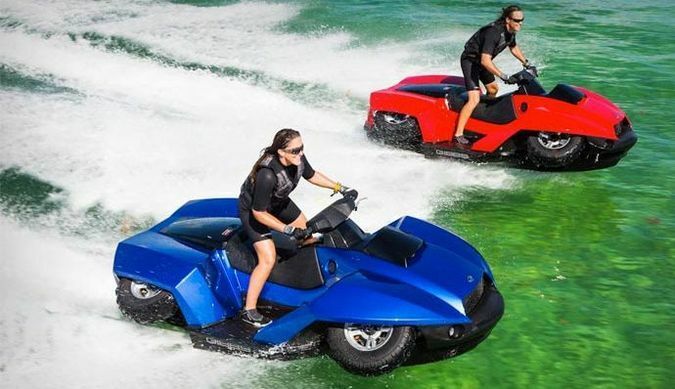 The Quadski uses Gibbs’s high-speed amphibian (HSA) technology, which includes more than 300 patents and patents pending worldwide. 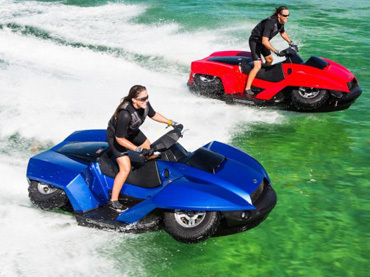 The Gibbs Quadski is an amphibian that operates as both an ATV and a personal watercraft. It can transition from being a land vehicle to a water-going one in about five seconds. It features a top speed of 72 km/h (45 mph) on both land and water, a proprietary marine jet propulsion system, and wheel retraction. On land, the Dobbertin HydroCar’s full-length articulating sponsons are raised and become the car’s fenders. Once it ventures onto the waters, these sponsons are lowered nearly eight inches to transform the car into a tunnel-hulled watercraft within a matter of seconds. Yes, this aluminum-bodied, meticulously crafted amphibian can change its shape from “land mode” to “water mode” in just a flip of a switch. That is what makes it distinguishable from the rest. 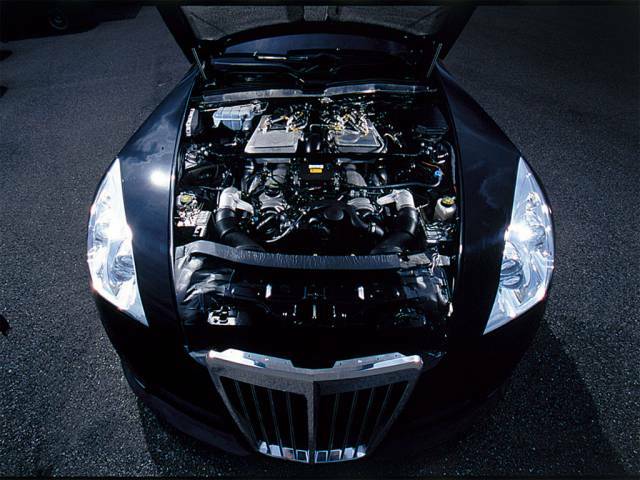 Under the hood, it has a fully dyno-tuned Chevrolet engine that produces 762 horsepower at 5,800 rpm. Its main body is made of type 304 stainless steel, so rust will not be a problem. Because it didn’t create enough “bite in the water,” the original six-bladed propeller of this amphibian was replaced by a four-bladed one. 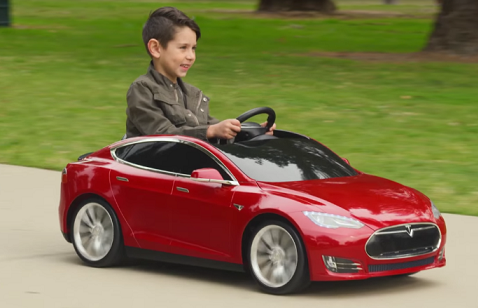 Unfortunately, the new addition was yet to be tested before the car was sold. Nevertheless, the HydroCar is still an amazing amphibious vehicle despite needing a little bit of tweaking. 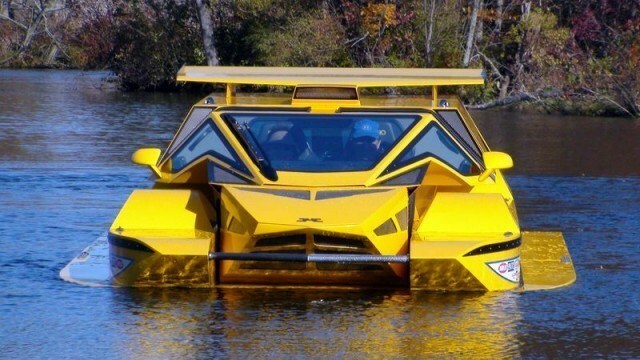 A California-based car company has designed the world’s fastest amphibious car called the Panther. For thirteen long years, Dave March, the founder of Panther, has dreamed about building a car that would perform equally well on water as it could on land. The WaterCar Python was the result of his goal to make his cars reach freeway-type speeds in the water. 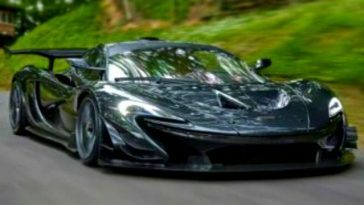 The car’s water speeds can be faster than 60 mph (96 km/h), and its road speeds reach over 125 mph (201 km/h). The Panther’s lightweight chassis is made of chromoly steel because the chassis of the Jeep CJ8 Scrambler, from which the car’s overall design was based on, was too heavy for the water. While the Python claims to be an amphibious sports car, the Panther is an amphibious SUV. That is why it can be driven on basically all types of surfaces including sand and mud. It is for this feature that the makers of the Panther call their invention the ultimate vehicle. 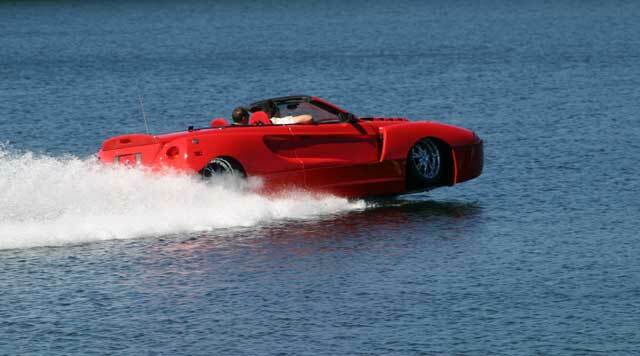 In 2004, Rinspeed, a well-known Swiss sportscar tuning firm, built an amphibious car. This amazing hydro car is the first amphibious vehicle to be fueled by an environment-friendly resource: natural gas. It has an integrated hydrofoil design that can be deployed at water depths over four feet and a 750 cc, two-cylinder, turbo-charged engine. The vehicle can run at a speed of 31 mph (50 km/h) on water, which is still pretty fast. The Rinspeed can cruise in water like a conventional boat under 30 knots. It’s even quicker on land, boasting a top speed of 124 mph (200 km/h). The Sea Lion prototype is the world’s fastest amphibious land-speed vehicle. It’s a car that is not only unique-looking but can also transition into a speed boat in seconds and goes pretty fast. Well, technically, the Sea Lion is not a car. It is an amphibious world speed record competition vehicle, as what its designer, Witt, calls it. It was particularly designed to set world records on land and on water. The Sea Lion clocks in at 125 mph (201 km/h) on the road, a speed that’s quite mediocre. However, it can reach respectable speeds of as fast as 60 mph (96 km/h) in the water, where it shows its true power. A CNC-milled and TIG-welded 5052 aluminum was what was used for the body of the Sea Lion. Designed by Gibbs Technologies, this car was created specifically to access remote and hostile terrain, as what the company’s February 2012 public announcement revealed. It utilizes the same high-speed amphibian (HSA) technology as the Gibbs Aquada. 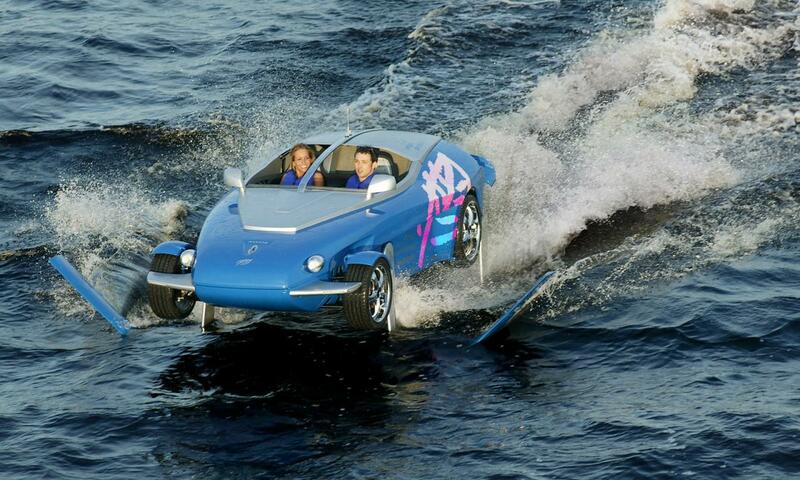 The 5-seater Humdinga concept vehicle is a full-time 4WD capable of 160 kmh on land and 65 kmh on water. 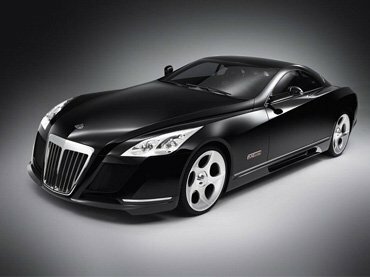 It is powered by a 350 BHP V8 engine. Designed by Hanns Trippel, this vehicle was manufactured by the Quandt Group at Lübeck and at Berlin-Borsigwalde. 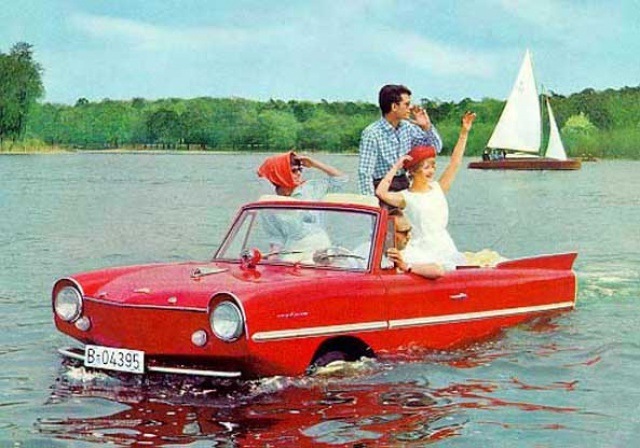 The Amphicar is a German amphibious automobile that was first released to the public in 1961. 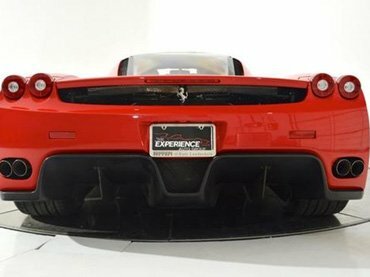 Its performance was modest compared to most boats or cars. In fact, by 1965, only 4000 were produced. It is still often prized, nevertheless, and is preserved as one of the novelty collectible automobiles today. It is among the most successful amphibious civilian autos of all time. The Amphicar was designed to be marketed and sold in the USA. Next article New Guinness World Record Holder Can Limbo Her Way Under a Car!